Wearing lipstick can be fun and doesn't have to be a hassle. This page contains lipstick tips and tricks. With the high cost of cosmetics, I have discovered a way to use ALL of your lipstick! When the tube gets flat on the top, I use a plastic cuticle tool to dig out the remaining lipstick. I usually have several tubes that are flat at one time. I put the retrieved lipstick into a small plastic container and pop it into the microwave for about 20 seconds or so and it melts down and when cool is a new source of lipstick. I use a lip brush or a Q-tip to put it on. I have done this for years! I recently went to a Women's show in Savannah and saw where they were selling a lipstick "motel" for $15.00. I figured that this was entirely too high to be paying so I began searching for something around the house. 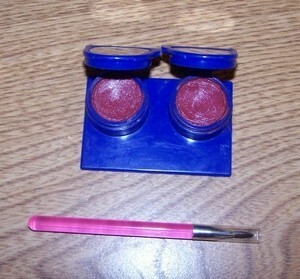 The photo shows a contact lens container with lipstick in it. Yes, I said a contact lens container! I simply made sure that the container was clean and dry and I nuked one of my already salvaged pots of lipstick and poured some into the contact case. I then put the container in the refrigerator to cool. The case even has mirrors on the top so that I can see what I am doing if not at home! I have even done another one with a small compact that was used up that I got with a bonus from the makeup company that I use regularly. Your possibilities are endless. CAUTION! DO NOT PUT ANYTHING THAT HAS METAL INTO THE MICROWAVE! USE SOMETHING PLASTIC AND THEN POUR INTO YOUR CONTAINER! Save money on lipstick by using the lip color pencil to outline your lips, then use it to fill in the lips with the pencil. The color stays. Source: Myself when I misplaced my lipstick. I have found a great way to save money on lipstick. I always use a lip brush to apply my lipstick, that way I control how much I want to apply every time. Also, using a lip brush, I am able to get that last little bit out of the tube, before tossing it in the trash. Before putting on your lipstick, dust your lips with baby powder. Then apply your lipstick, blot with a tissue, and you will find that your lipstick will stay on all day. Get a cheap lipstick that is a shade deeper than your lips. Dot some on your cheekbones and blend with fingertips for a blush that appears natural. This can be put in your purse in place of a blush compact. I have loved one particular color of lipstick for years but it's just simply too dark for me so I take the lipstick out of the tube and place it in an empty Carmex lip balm container. A few months ago, I purchased 2 shades of lipstick. After being home and able to try them, I realized that I didn't prefer those colors after all. . . If you have trouble with lipstick smudges and melting, just hold an ice cube to your lips for a few minutes after applying your lipstick. I am in need of new lipstick and would like to try something new. I am looking for long lasting and moisturizing. I buy lipstick at Rite Aid so I can return it if I need to but it's so confusing with all the brands. Any suggestions? I have the same problem with lipstick disappearing after 15 min....Years ago I was touted on to a lipstick and I have been using them ever since. It is by cover girl and can be bought in any drug store. It comes 2 in a package, one is lipstick color and a lip gloss as these long wearing lipsticks tend to dry out your lips, but the gloss can be applied several times during the day. This lip color lasts me from when I put it on in the morning until I go to bed at night, without having to reapply at all during the day. Its about $10, but watch for them in sale. If you try it, let me know how you like it. I like Revlon Colorstay lipstick for long-lasting - but even now, those lipsticks are a bit drying, and you should apply a moisturizing lipstick on top - and/or use lip pencil underneath. Revlon's "Super Lustrous" line is moisturizing without being too soft and runny. L'Oreal used to make a line called"Rouge Virtuale"(I haven't bought lipstick in so long I don't know if this is still made). These are long lasting without being dry. Unfortunately it is not made public information. It is only known by us makeup artists. You can even exchange makeup at walmart. Whereever you buy your makeup they have to exchange it. Revlon etc takes the loss personally. I use the liquid long lasting lipstick, the type that comes with lipstick on one end and gloss the other end. The problem is they seem to dry up quickly and as they are expensive; I wondered if anyone knows how to make these last longer. Many thanks. 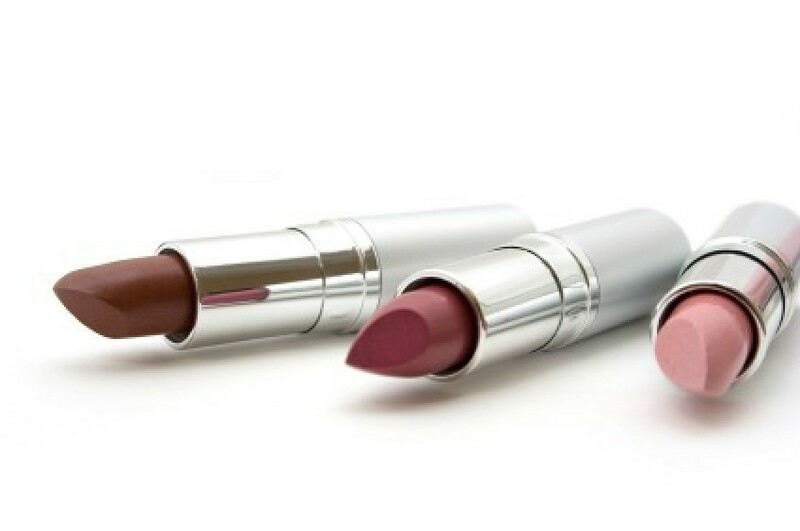 The primary ingredients found in lipstick are wax, oil, alcohol, and pigment. The wax used usually involves some combination of three types, beeswax, candelilla wax, or the more expensive camauba. Wax enables the mixture to be formed into the easily recognized shape of the cosmetic. Oils such as mineral, caster, lanolin, or vegetable are added to the wax. Fragrance and pigment are also added, as are preservatives and antioxidants, which prevent lipstick from becoming rancid. And while every lipstick contains these components, a wide variety of other ingredients can also be included to make the substance smoother or glossy or to moisten the lips. Good luck.